Birthday: Senlou was born August 7th, 2875. Elements: Senlou's element for right now, is light, he is working on getting fire and wind. Fire would be his second, used somewhat often element, and wind, would be his third barely use element. Transportation: There is three ways, that senlou can get around, he is mechanical, so he can make things, and the one main thing he uses for transportation, is a motercycle. Unless he needs to get over from one continent to another, than he uses an airplane, making sure that he doesn't interfere with the electronic devices to mix up where he is going. Family: Senlou has no family, anymore because of him being mechanical, he can live longer...but have no family other than himself. Alignment: Light, he works for good. Weapons: Senlou's main weapon, is his own sword, his stealth mode, can help him with it, but incase he cannot reach his target, he carries an M4 Carbine on his back. Human Form: Senlou's Human form, is when he takes away his metal, like when he gets on a plane, or tries to stay hidden in the regular world. He stands about 6'4" with white hair. It is usually short spiked and pokes up at least one-two inchs off of his head. His eyes are always, even in his cyborg form, gray. He is usually wearing a necklace he got from when he was actually a kid, no matter what, he will always protect that. His casual clothing, is a white suit shirt and a black jacket, on the jacket, there is a chain coming from the left side of it. His pants are usually a brownish color, sometimes tan. His shoes are always black. Cyborg Form: Senlou's more used for fighting, Cyborg form, is much different from his human form, and it is also more high tech, than what he was thinking he would look like. His form, changes his height from 6'4" to 5'9". Mostly, his hair has changed to be lighter, from the sun, but if he is still in the dark it is the same color, his eyes are gray,(as usual) but it is changed somehow, infront of his eyes are to things that make his vision anything he want's so he could see farther, or even switch it over to nightvision or heat vision. His body, is changed also, his suit is mostly what covers his full body all the way down to the tip of his toes, it is steel, well not much steel, mostly on his arms, the rest is a light metal that is suppose to block his body from getting to cut up. On his back is a strap to keep his gun, and near where a belt should be, is a belt that is suppose to hold his sword. 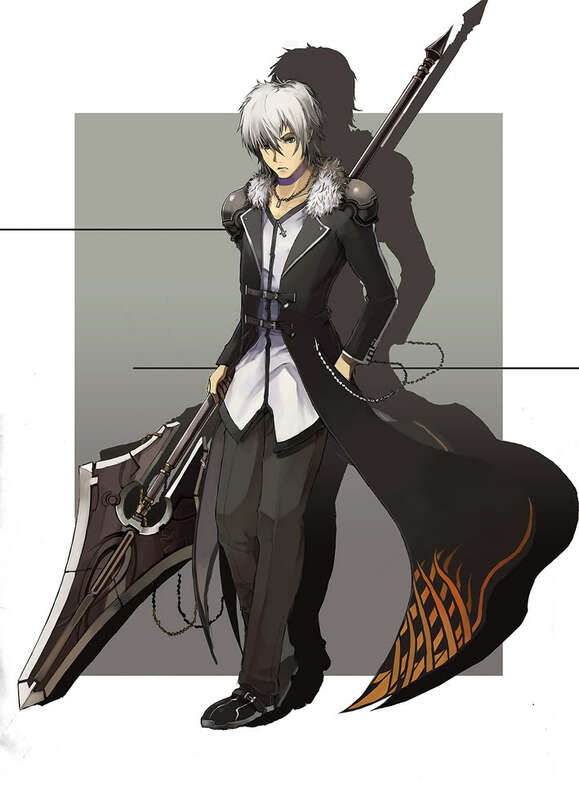 Specialties: Senlou, is usually good at using sword, mostly a specialty called CQC or close quaters combat, it usually changes with the way he is in a fight, or what his enemy is using. 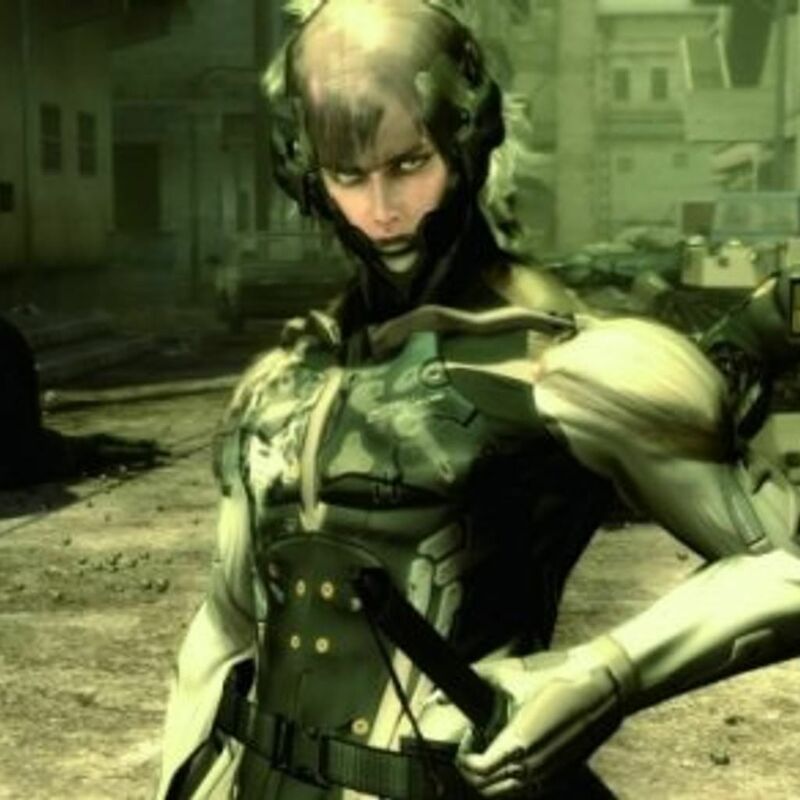 If it is like a sword, sytche (SP) or some other close combat weapon, than he would use CQC and sword specilties, but if his opponent uses guns, he would use sneaking tatics and get close enough to kill him with his sword, or try to shot him down. Mostly it is him using his sword though. Weaknesses:Senlou's weaknesses? Well first off, if he is light, than one of the best battles would be, a person who uses mostly darkness, and than it would be someone who was using a sniper or just someone he could not see, which he might have a challenge fighting. Mostly he could see their heat, unless they found a way to get out of being seen, with no heat even in their own body. Fighting Style: Senlou's fight style is his own, well most of it, it is used by most people weilding a sword, he weilds it the right way, but instead of using it how most people use it, (Samuri's Ninja's Etc...) He tries to let it be a good fight, he likes a challenge, and he loves to see how people can fight, so he can know more fighting styles so he could find a way to beat it, without wasteing his own time. Personality: Senlou is mostly trying to be with at least one person, he doesn't like to be alone, but he doesn't like being with alot of people, it is another weird thing about him, but he doesn't mind if it is only three, he would actually like that, he is different from many people, not just by what he is, but more about his atitude. He is nice to his friends and new people, but he is mostly a loner who doesn't like to talk in a crowd. He loves how and who he is though. Relationships: He has none, but he is trying to find someone. When Senlou was born, his father noticed something different about him, right there, his eyes were gray, and he wasn't crying, like most babies did. Most everyone knew his family, and knew they were strong, but they didn't know that they were strong enough to pass it onto a baby child, also something else weird happened on the day he was born, there was a tornado that hit his town, but it didn't even hurt anyone, it was like Senlou had been able to control it, or it was his parents. He had learned much about his past and his family, by training with them and becoming stronger than even them, he was becoming different, in a good way, soon enough, he had become the strongest member in his family, even stronger than his own father. The technology, that helped him was great, it made him look as though he would do something or save someone, but it was only a look, until he was the age of 22. Senlou had walked out of his house to see something new he had not yet seen, across from his house used to be a lot, but now out of no where, was a hospital, he walked over to the hospital, soon he had fallen, he did not know what happened, all he knew what had happened, was that he awoke inside the hospital, wires attached to him and he was strained down to the bed, infront of him was a doctor, it wasn't an ordinary doctor, he had seen his face in the paper, but he couldn't remember why until he could see his hands, he was an army doctor, who could change people to be mechanical, and/or cyborgs. He had fallen asleep again, and this time in his dream he saw the future, not two days, more like two hundred years, he had no idea what time it was, when he awoke again and he was un strained and on the ground infront of his house, back to normal, but he had a gun and a sword. He had been mutated to be a cyborg, now he had to learn how to become it and change back, when no one was home, he would go into his backyard and train with his sword and become the cyborg, but when he put it away, some how he started to fade back into being human, the technology than was very complicated, and that one doctor had manged to fit such a weird power into such a strong man, but he didn't want it, he had wanted to be normal, but now...he has no chance but to be different from the rest of the world. i noticed you tend to overuse commas but its no big deal. and thank you for the approval, do I need to create all my weapons spells forms Etc...before I can roleplay?